Hurricane season doesn't begin until June 1st but we've already had a named storm, Arlene, only the second tropical storm ever to take place in April. Also in April, subtropical storm Ana led off a very active 2003 season which included Cat 5 Hurricane Isabel as well as two post-season named storms in December. Isabel packed a wallop and penetrated as far inland as western Michigan before heading into Canada. Virginia sustained the worst of it with nearly $2 billion in damage and ten fatalities. It flooded just down the hill from our offices in Alexandria and into Washington D.C. as a nearly 10 foot storm surge pushed up the Potomac. How often do hurricanes hit certain areas? The answer might surprise you. 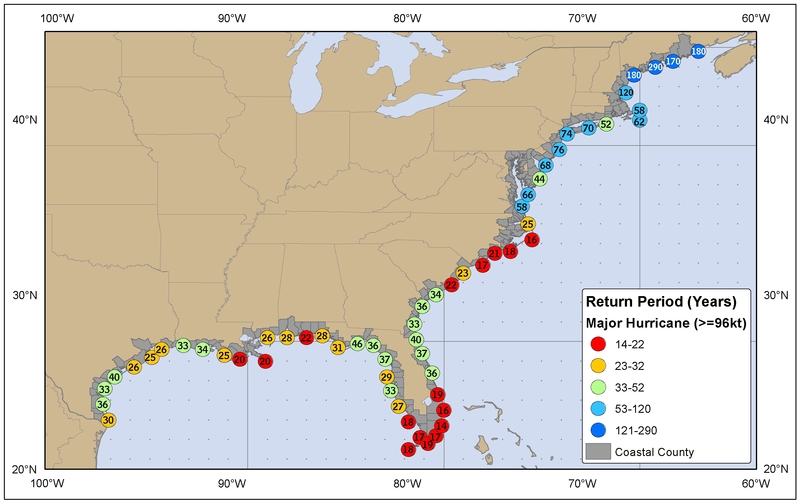 Isabel's North Carolina landfall area ranges from 16 to 25 years between major hurricanes (Cat 3 or better). By contrast Florida's southern tip ranges from 14-19 years between major storms. But those are major storms. North Carolina's coast is actually more likely to see any hurricane (5-7 years), than Florida's southern tip (6-8). 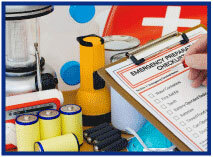 Did you miss Hurricane Preparedness Week? Being prepared can help and Chubb has a Hurricane and Windstorm Planning paper for your clients. Below is a summary of pre-storm prep but it also covers what to do during and after a storm. However, power outages that do not result from a covered loss to the property will not trigger additional living expenses. Last week a massive global cyber attack affected dozens of countries and tens of thousands of computers worldwide. As international headlines covered the breach, cyber security is top-of-mind nationwide and it's apparent no one is immune to hacking or malicious attacks. This is a timely moment to reach out to ensure your small business clients are covered with cyber liability insurance. Our newest product partner can be found on www.bigimarkets.com under "Cyber-Small Business Solution." Use our sample marketing letter as a quick and easy way to reach out to all your small business clients to offer coverage. Whether you choose to mail or email it, don't delay in reaching out to offer cyber! It's also wise to have evidence the coverage was offered in your client file. We have a customizable declination form that can be used to document your file when coverage is refused. Customize and print it out (or load it to DocuSign) today, and make it part of your small business sales process. An employee falls on the treadmill in the company gym. Another is injured during a three-legged sack race at the company picnic. A third breaks her wrist by tripping over the family dog while working from home. Do these people have a workers' comp claim? The simple answer is, "It depends." Did the company encourage or require employees to use the gym or help offset the cost of a gym membership elsewhere? Was attendance at the picnic or the sack race truly voluntary or was it at least an implied requirement? Do the hazards of the home become the employer's responsibility for telecommuting employees? "It depends" also includes where the company is located as the same conditions leading to the injury may be covered in one state but denied in another. Healthcare costs continue to rise which make incentives to improve the overall health of employees attractive. Work sponsored events are great for employee morale and health. Telecommuting and working from home increase flexibility and employee retention. Technology can make the accessibility of employees go from 9-5 to 24/7, which can cause stress and dissatisfaction due to the imposition on personal time. Newer offices are being designed greener, geared towards health and with a more open concept vs. cube farms as the private office is not considered a measure of success by millennials. 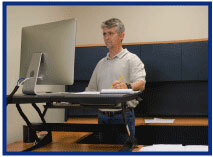 Another trend is a treadmill desk and the stand-up workstation, reportedly standing for a while is healthier than remaining seated throughout the day, but only when used correctly. Better get a mat for that. It's times of change that cause problems for insurance. The risk exposure line is not nearly as clearly defined as most employers would like. What is or isn't covered will be worked out over time, but it's always best to be prepared with a carrier that actively works to stay abreast of these changes. Workers' Compensation through Travelers Select is currently available under Small Commercial Standard Markets on Big "I" Markets to member agents in all states except AK, CO, DE, HI, MA, ND, NM, OH, PA, WA & WY. If you have any questions, please contact Big "I" Markets Commercial Underwriter Tom Spires at tom.spires@iiaba.net. Congratulations to this week's winners - Julie Siebold (SC), Matt Swenson (UT), Lisa Gammill (MS), Megan Thomas (OK), & Lyubov Blyshchik (SD). 2. On this date in 1754 the first American political cartoon is published. Name it. - JOIN, or DIE! Congratulations to our agent in Pennsylvania on an Affluent Program - New Business sale of $8,626 in premium!